I have never found Chrysosplenium alternifolium so its inclusion here is based on the assumption it is near identical to oppositifolium. 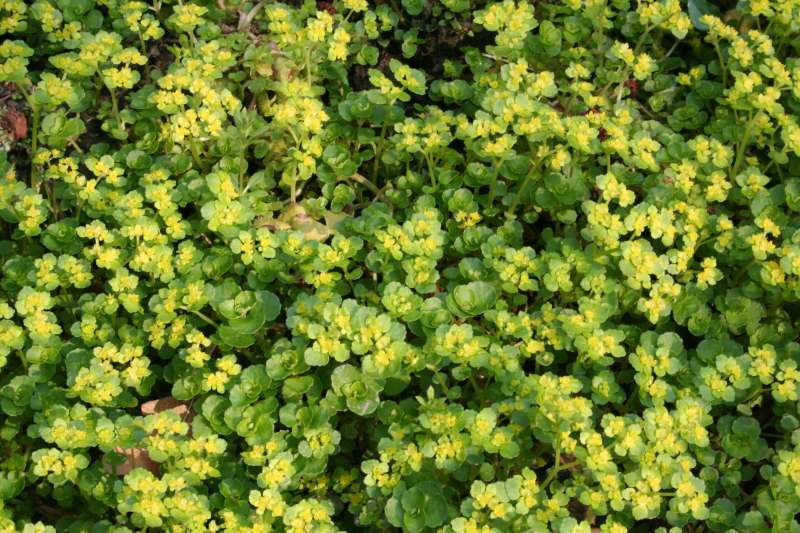 Golden saxifrage can be a beautiful plant. At first glance, it might seem to be a euphorbia as its flowers are somewhat similar. 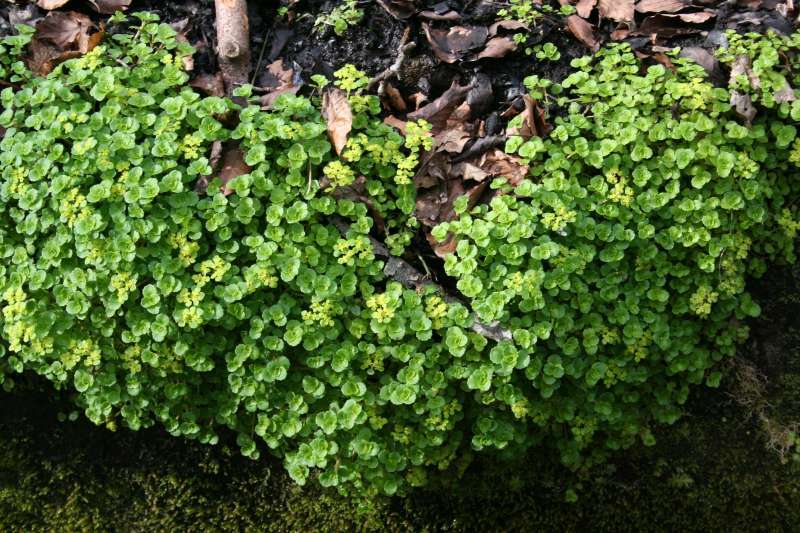 There are in fact two very similar Golden saxifrages - the opposite leaved, pictured here, and the alternate-leaved (Chrysosplenium alternifolium). Both are edible - or said to be. But oppositifolium is tasteless and not a pleasant texture, so distinctly a famine food! These two related damp-loving plants are quite decorative and are said to have a pleasant peppery taste. However when I tried oppositifolium I was not too impressed! But the plants were then in flower and this is never the best time to pick wild food plants. 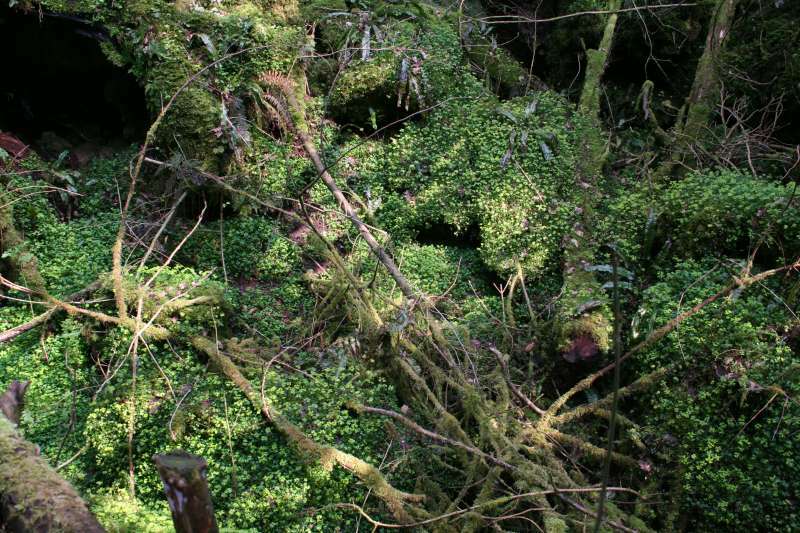 All the pictures were taken in the Forest of Dean, April 2009. The first three were taken in the upper Cannop valley. Here concrete drainage channels were installed, to prevent water percolating through the chalk into the Cannop colliery. The channels are now decorated in places by festoons of golden saxifrage. 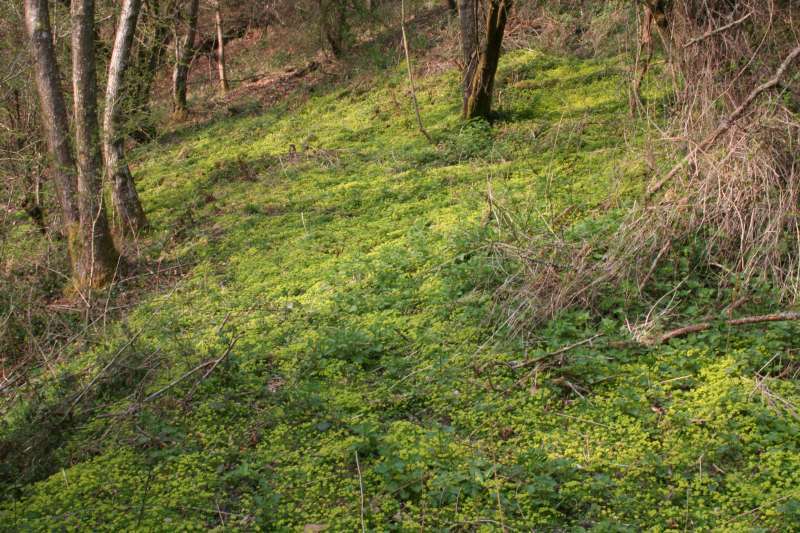 But above the channels in one place is a carpet of golden saxifrage resplendent in the spring woods. Photo 3.